Hopefully the series gets picked up for second season! 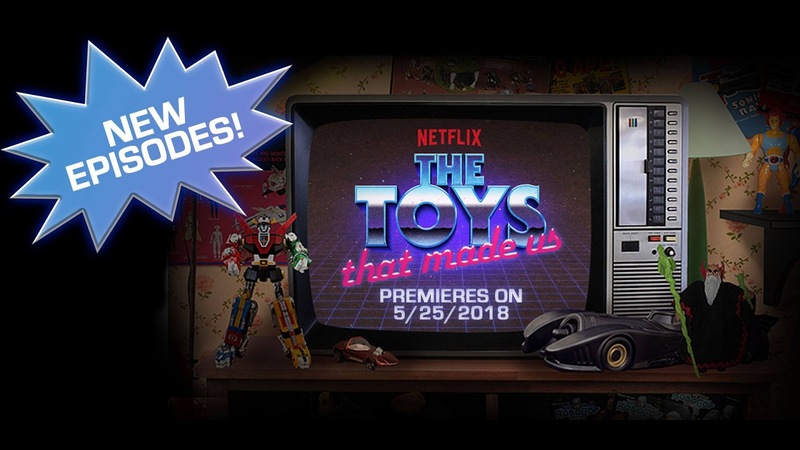 What toys do you think should be covered by the show? Tell us in the comments below! This is kind of a weak lineup. Then again, you can't come out of the starting gate with G.I. Joe, Star Wars, He-Man and Barbie and think you get any "higher" than that in the toy food chain. Could the show sustain a second season? Sure. There are tons of toy lines out there. Unfortunately, as you dig deeper, the lines get more obscure at which point you're targeting niche audiences. We'll see what happens. Until then, you can check out a fantastic blog on all sorts of toy lines from back in the day! You know what I mean! I don't get the Hello Kitty being in the line up, but hey I guess the girls dug it... There's still plenty of stuff for them to cover for a second season like Super Powers and M.A.S.K. may Mego's line of figures. I do think that the 8 episodes per season format should be kept though. I will say I enjoy your blog because of the stuff you cover that I never even saw back in the day! Keep up the good work! Yeah, Hello Kitty is an odd one. Definitely plenty of "girl" lines out there that would have been far more interesting; Glamour Gals, Dazzle, Rainbow Bright and Strawberry Shortcake (to name a few).